Digital camera software with camera raw support. Is there a better alternative to SilverFast DC Pro digital camera? Is SilverFast DC Pro digital camera really the best app in Scanners category? Will SilverFast DC Pro digital camera work good on macOS 10.13.4? SilverFast DC Pro... This high-end digital camera software addresses the specific needs of the digital photographer. The application combines the award-winning powerful functions of SilverFast with the unique Virtual Light Table. The Virtual Light Table provides the user with the capability to effectively view, organize and manage their digital image files. SilverFast DC Pro digital camera needs a rating. Be the first to rate this app and get the discussion started! The application also provides additional essential image correction tools, such as red-eye removal, color correction, white balance, and exposure adjustment. 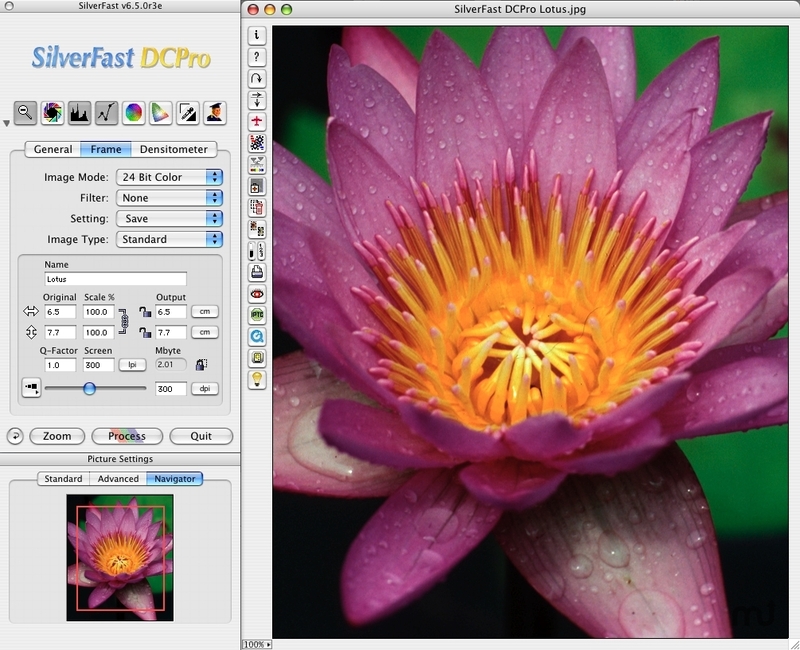 Advanced SilverFast features, including ACR, USM, GANE, Selective Color Correction, and JobManager, allow the amateur, the prosumer and professional photographer to achieve the desired results from their digital photographic images. SilverFast DCPro supports the Raw Data Formats for many professional digital cameras from Canon, Minolta, Nikon, Olympus, Kodak, Fuji and Sigma. The conversion of the raw data takes place as a time-saving background process and the results are stored automatically. Hence, the user can re-open converted files without losing time. For all listed cameras SilverFast also fully supports Adobe DNG as an input format. If a camera is not listed as supported, not all camera information might be present in the DNG file. Still, such DNG files can of course be read and processed by SilverFast.